Addmen does provide quality question paper for MCQ examinations, the question paper is created by team of academic experts from different institutions according to the syllabus. Complete privacy is maintained as multiple options of each section of question paper are prepared by different paper setters in different cities and later the final combination of questions to be include in each section is done with the choice and approval of the examination body or Addmen alone as per the requirement. One of the mechanisms adopted for utmost security and peace of mind that the section wise options of question set are kept ready and sorted out on the last day and directly printed within the institute itself by our confidential staff to avoid any sharing of questions with any printer of institution staff. The papers printed at the last hour are kept in custody of the examination in charge and directly distributed to the applicants. 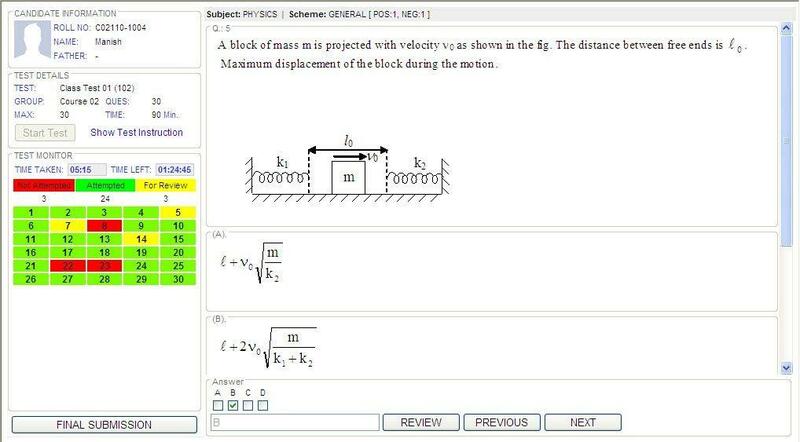 Multiple sets of question papers can be created using question shuffling software. The questions in all the test papers in the series are same but in a different order and thus the answer key of each set is different and a big deterrent to copying. We also have a online question paper generation software using which same process of instant printing can be carried out directly at different distributed centres as per the requirement. This will help avoid the leakage of question paper during logistic lag. In such case the question shuffling software shuffles the given questions to form a different set of question paper. This will enable the examination body to keep same questions yet different question papers at different centres..